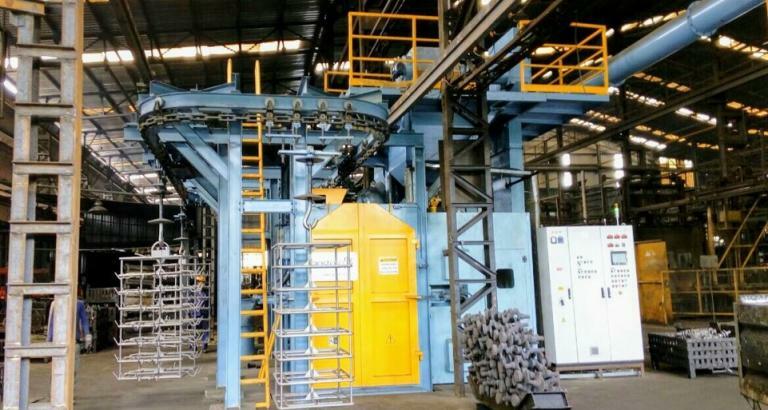 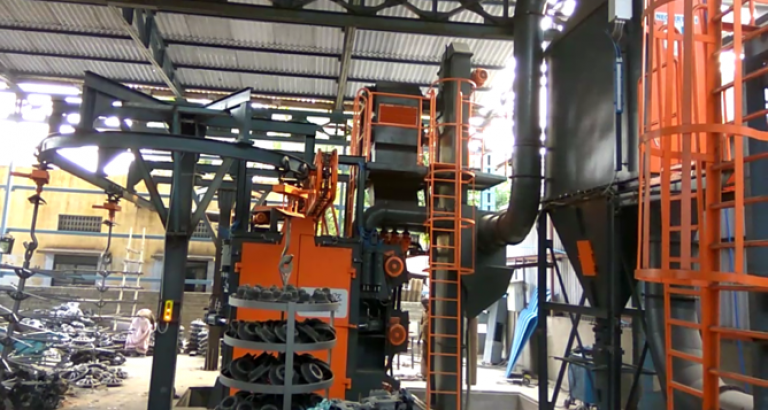 Overhead conveyor shot blasting machine with hook is designed to process heavy and complex shaped work pieces like castings, welded constructions, forged and pressed parts, which are often fragile and sensitive and cannot be tumbled in bulk loads. 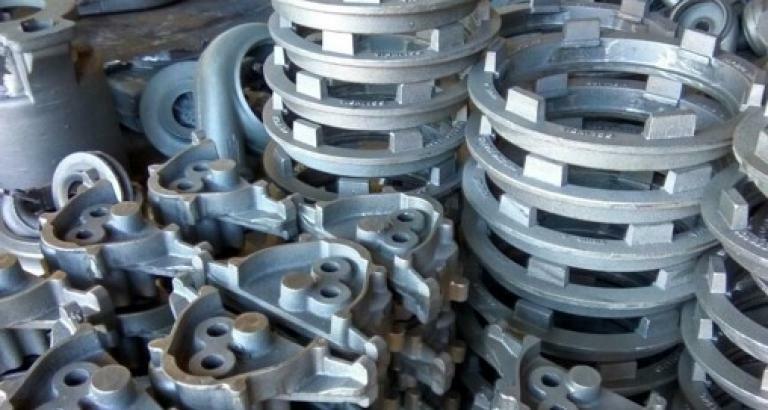 It is ideal for parts manufactured in medium and large series, that weight from 5 kg to 10,000 kg. 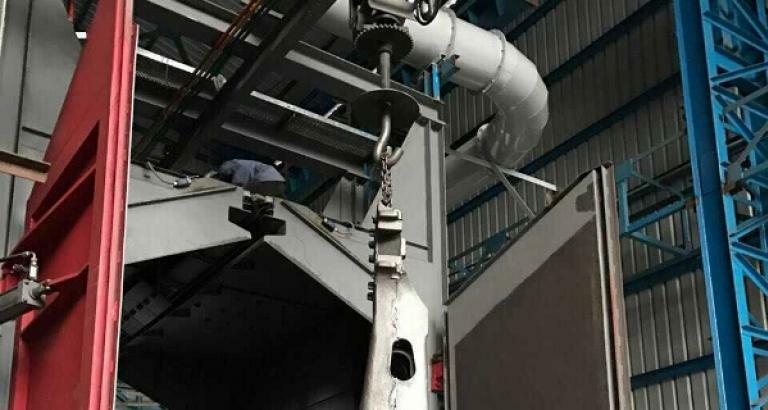 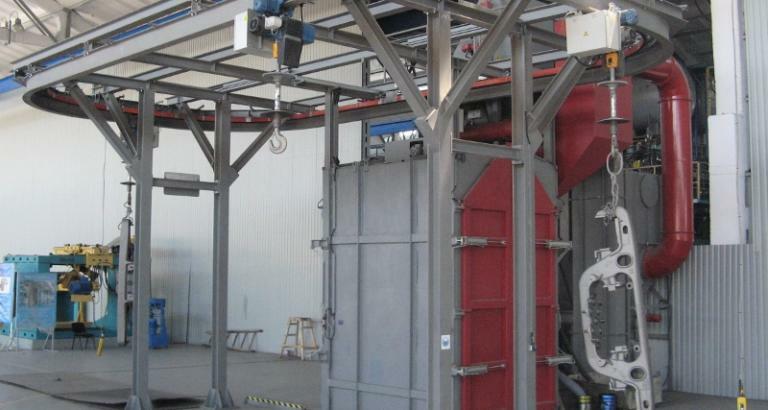 Overhead conveyor shot blasting machine with hook can be used for many applications such as continuous blast cleaning, desanding and decoring in die cast industry as well for descaling, derusting and reconditioning in metalworking industry. 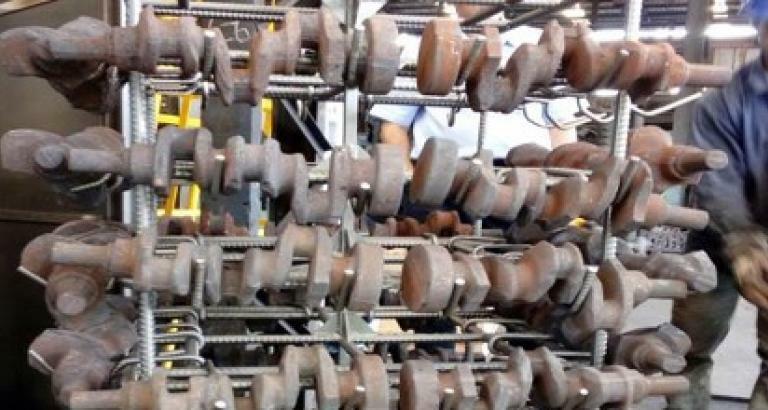 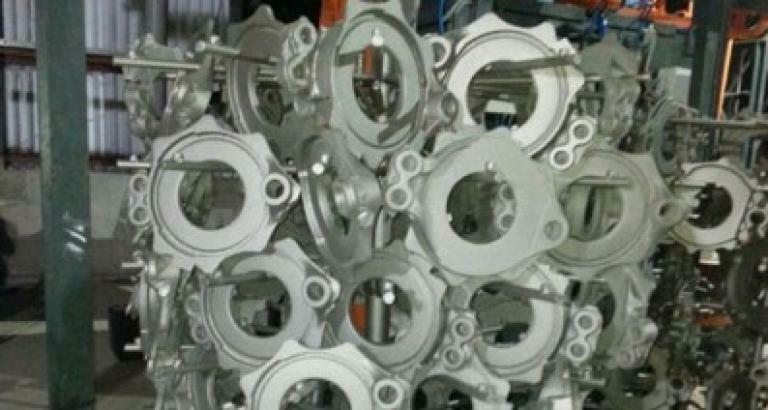 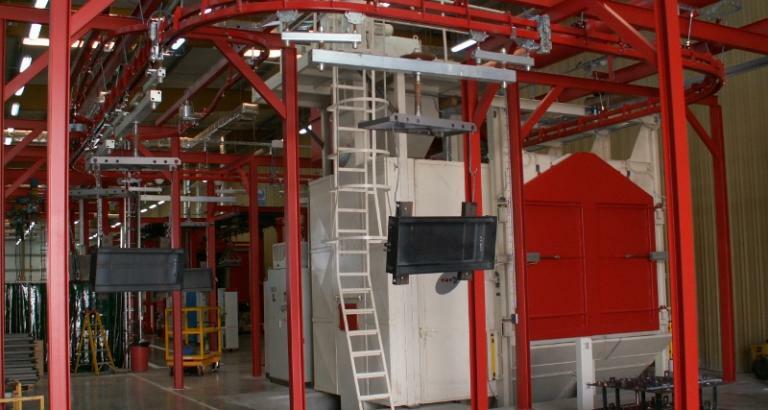 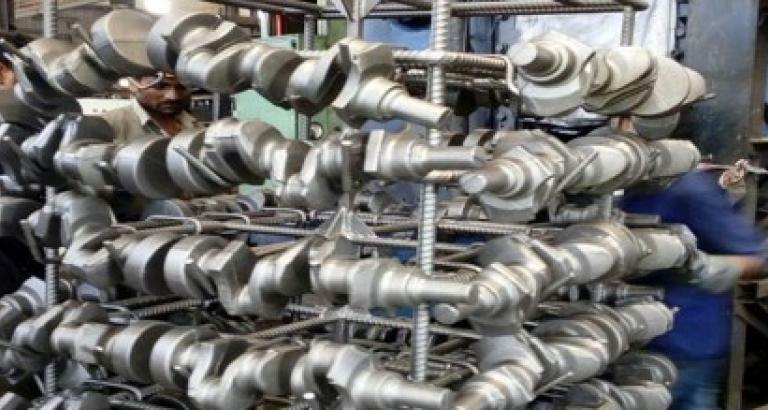 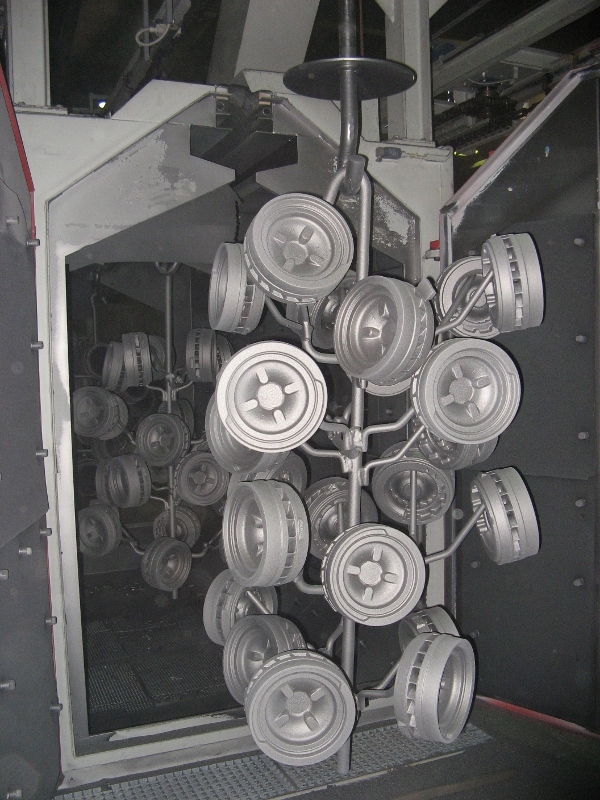 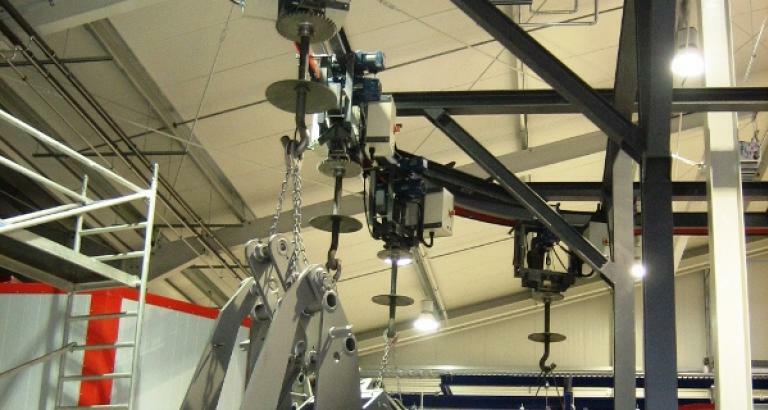 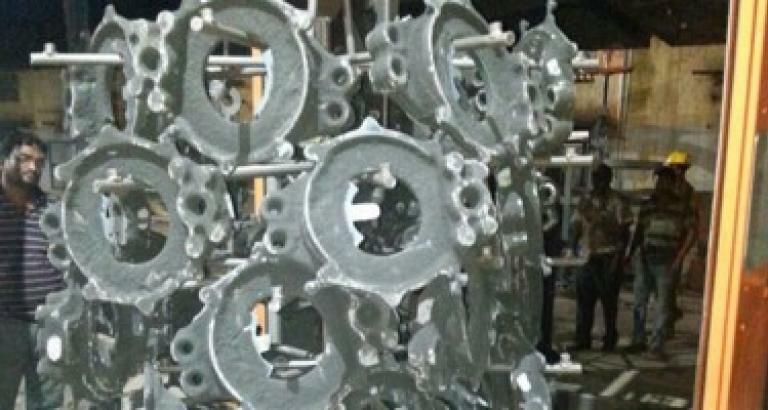 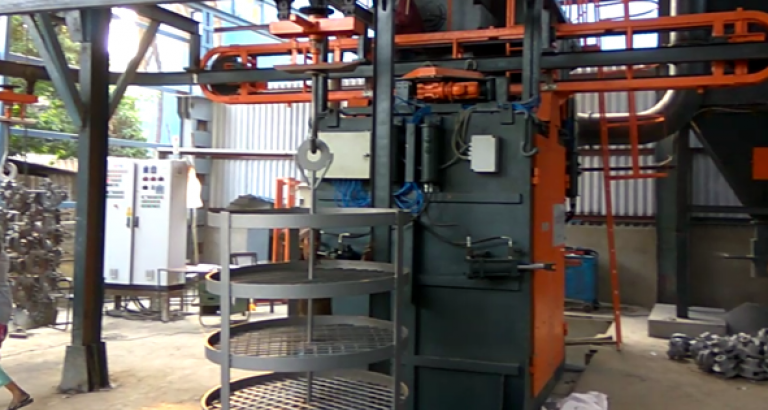 Work pieces can be loaded individually or in a cluster ("Christmas tree") onto the revolving hooks on a closed loop conveyor, which is going through the shot blasting machine. 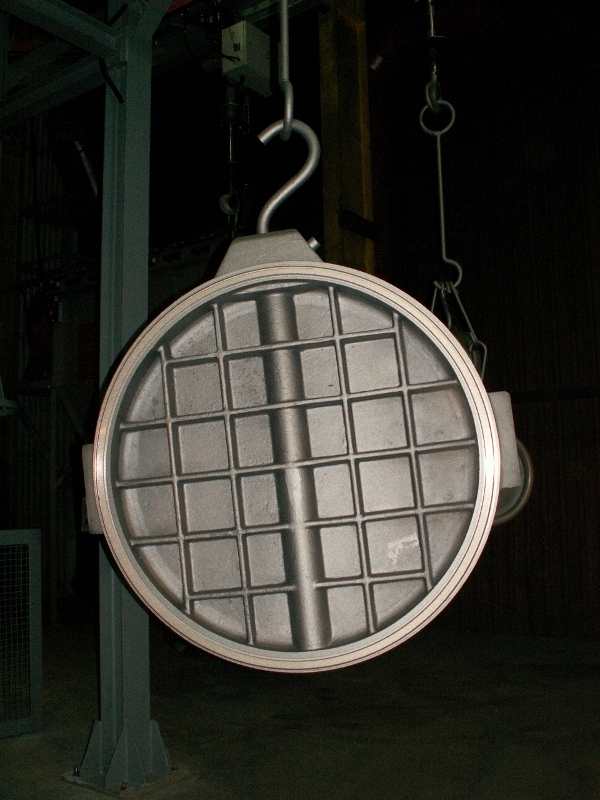 Work pieces rotate on revolving hook and move back and forth in a jet of abrasive, which provides quality and uniform blasting results. 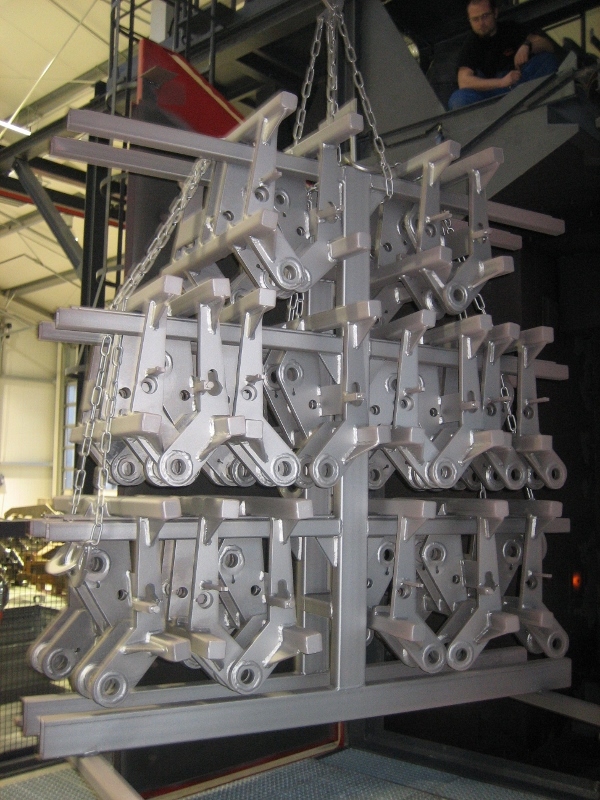 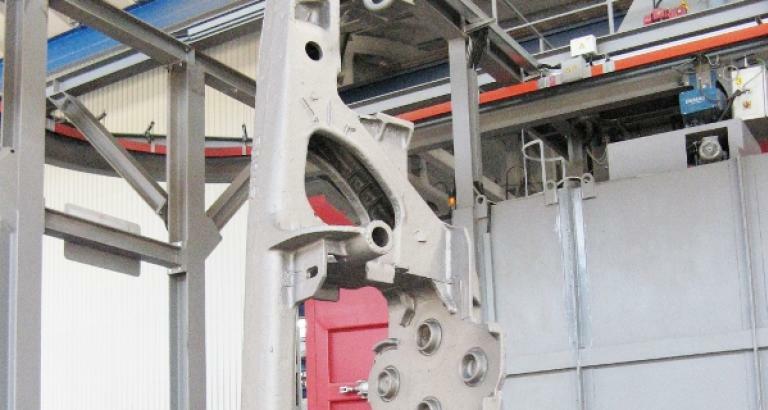 VKP machine housing is protected by wear-resistant manganese steel liners or entirely made of manganese steel and additionally protected on the most exposed wear areas. 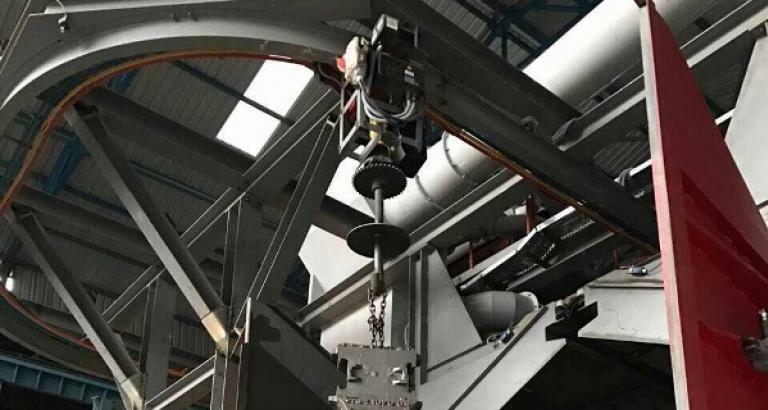 Overhead conveyor shot blasting machine with hook can be made according to specific customer's demands and may be equipped with a magnetic separator, vibration conveyor and variable frequency drive for blasting wheels.